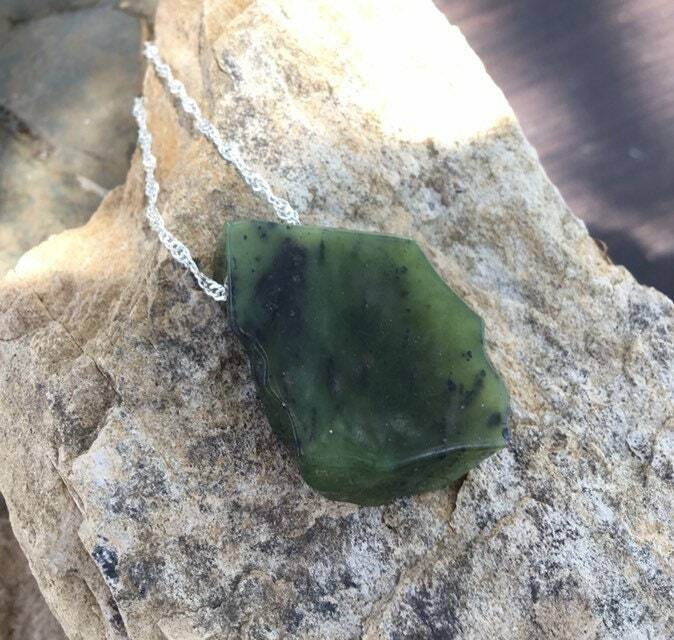 This gorgeous BC jade is so pretty! It has its original, rough shape on the sides but the whole piece has been polished beautifully. 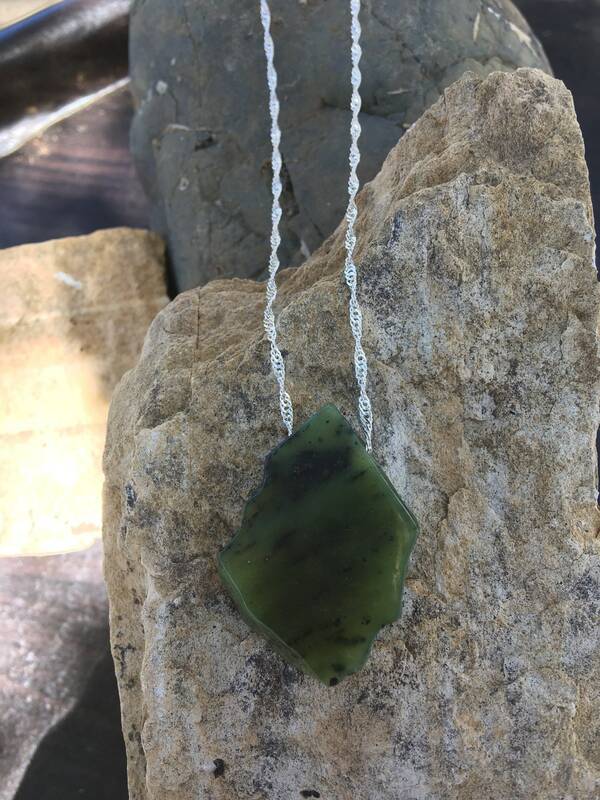 The stone is a gorgeous, translucent apple green, with a lovely, dark green pattern. The stone is 1 1/2” long, 1” wide and about 1/4” thick. It is on a 18” long sterling silver chain.